Does your online advertising need a little something extra? Animated GIFs are just the thing! Even a touch of visual motion – whether cute or clever in design – can really liven up any graphic image. Whatever the need… it’s a GIF that keeps on giving by bringing your business ATTENTION. Fox Studios would like to wish everyone a happy, healthy holiday season. At Silver Fox, commercial photography is serious *but* fun business. That’s because when you enjoy what you do, you do it well – and we enjoy what we do. Whether it’s right in our very own studio under bright lighting or on-location in a natural setting – we take each client’s product/service into account to create the ideal, high-end digital imagery based specifically on their needs. If your photography needs require model and location selection, we can do that! We’ll start with a story board and go from there. If you have products that need to be photographed for print or web, we can do that too! Need photo retouching? No problem. Whatever your need, we got you…and we will work with you every step of the way. And best of all, we’ll all have fun doing it. Hord Crystal has been the top supplier of rhinestone chains and findings for over 70 years. This year, in various jewelry publications, we featured their excellence in series of full-color trade ads spotlighting some of their beautiful pieces… with high-quality photography and copywriting that truly depicts their high standards as well as our commitment to rich design. A healthy lifestyle begins with a happy mind and a healthy diet. Jala, meaning water, is a core element of Ayurveda helping the body reach its proper equilibrium. The owners of Jala Artesian Mineral Water – a clean, naturally filtered pure springs located in Massachusetts – came to us in early 2016 looking to re-design their water bottle label. Challenge: To approach the retail market with a fresh, original look in bottled water that resonates with the health conscious and holistic minded. Marketing the design: The lotus flower art – which is symbolic of purity in body, speech and mind – was designed to represent balance. The soft lavender, green and light blue colors were chosen for their calming effect while copy points were targeted to represent the healing benefits of Jala’s Artesian Mineral Springs. The new label will appear on all Jala Artesian Mineral Water Bottles in retail stores in the near future. 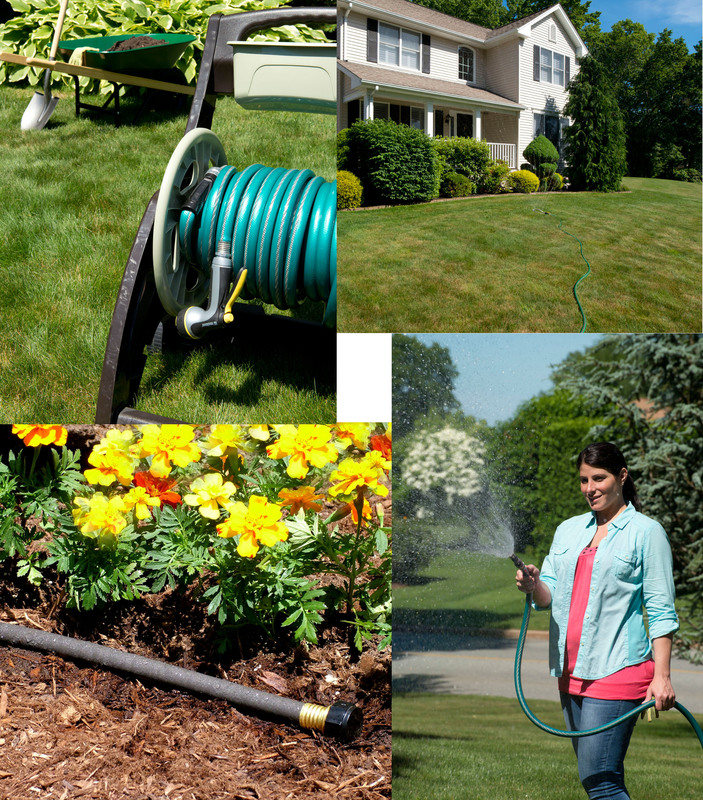 Recently we had the opportunity to take some nice garden and lifestyle photos for Teknor Apex’s garden hose division. The weather that day was perfect; bright and sunny blue skies. We took a numerous amount of photos – and a variety of garden hoses from Apex’s Soil Soaker and Sprinkler hose to their very popular Reel Hose. We even used Lysa as one of our models. The resulting gallery of photos will be used on sales literature and on Teknor Apex’s garden hose division website.